Discussion in 'Role-Playing Arena' started by Krowley, Nov 28, 2011. "God Modding" is- in essence, when someone’s character has the ability to do practically anything without limits or boundaries. An example of this is when they simply cannot be harmed by any and all means other RP-ers try. 3. Characters in each world will be controlled by myself, however there are exceptions. If you wish to perform certain interactions, simply tell me before doing so. 4. Keep active during your mission. Failure to post/participate during a mission will result in gaining 0 EXP/Munny. Players usually have 2 weeks per mission to post. 5. PMs will be sent if a player has been; inactive for 1 month or if it is their turn in a Boss Battle. If they have been inactive for more than 1 month without explanation or disregard for the story, their character will be kicked from the roleplay. 6. You abilities must follow your character build. 8. DO NOT start battles or summon heartless/enemies. You won't need to fight unless a mission prompts you to. 10. No more breaking the fourth wall. Gone too far. This story moves at a certain pace, so to ensure you don't get lost, all events from each world will be chronicled on the first post! In the Roleplay, this Journal can be viewed in the hands of Jax. A small moogle, who keeps tabs on everything. Catch up on everything you've missed, from the tragic beginning, to the worlds currently in progress. 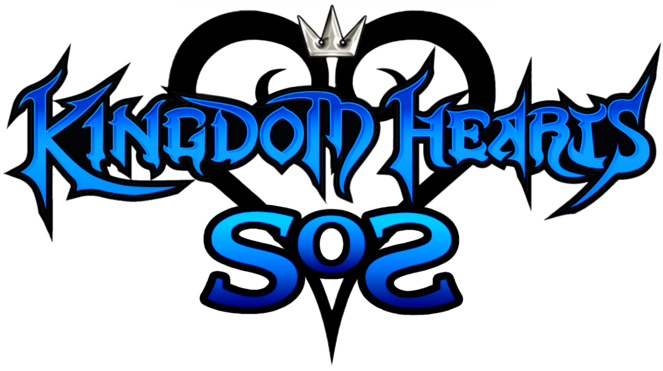 SOS is meant for all Kingdom Hearts fans, so find a spot and jump in! "A Pleasure to meet you, Master Eraqus," Noroz said, calmly. "I am Noroz Bedwyr. Born and raised in the world known as Lye. What I lack in magic talent, I make up for in speed and agility. It is a pleasure to meet you." Noroz' words were calm, even though he was nervous. His back was straight, and his posture was flawless, his presence is rather cold, but decisive. "Yes, a pleasure indeed." Seth spoke up after Noroz. "I'm Seth Kaiser, son of Fuhrer Kaiser and General of his 1st Battalion, I hail from the world Crystal Continents. I will swiftly carry out any mission that you request Master, for the better of humanity." Seth stood straight in his dark appearance, giving off a sense of strength and leadership. His eyes seemed to pierce through his comrades as he awaited Master Eraqus' response. Master Eraqus looked with hope among his new students. Though they had their certain quirks, they were ready and willing. And those qualities were exactly what he needed to see. Although he was delighted to see this, he felt he should be abrupt with these volunteers. "I thank the four of you again with all my respect. Despite what you have been told, these missions are very dangerous. The keyblade is but a guide to help you through the darkness. But it is you who will decide whether you wish to follow it. Being able to wield such a tool of light, you all must have exceptionally strong hearts... it is that very requirement that makes you perfect candidates for the road ahead. Normally I oppose traveling to other worlds, but we are in the midst of a crisis with an unknown planner behind it all. I fully understand if any of you wish to back out now." To his surprise, all students remained attentive and unmoving. Eraqus grinned with pride. "Excellent, then let's begin." The master summoned his keyblade before them. "Other than an offensive weapon the keyblade has many other uses. For one, it allows you to travel to other worlds without fear of being consumed by darkness. Second, it allows you to open and seal any lock. This includes the barriers between worlds. But be warned, so long as you wield your weapon, creatures of darkness will be attracted to it. Particularly, Heartless; dark embodiments of those who have lost their heart. You will be at constant risk of Heartless attacks at any time." He turned and motioned for them to follow him inside the castle. Their footsteps echoed across the vast, empty hall. "To keep as much order in the worlds as possible, I am limiting access to the amount of worlds to be visited at a time. Other than helping keep balance, you must find out as much as you can on any masked figures you may encounter. They are followers of the one behind this whole debacle. I also urge that you travel in groups and look out for one another, I do not wish for you to end up like..." He took a brief pause and recalled the events that pertained to the kidnapping of his apprentices. "Be sure to travel safely. I think I've covered just about everything. More key bearers may come as time passes, so be sure to be as hospitable to them as I've been to you. If you request to accept a mission to another world, you can always find me in the Guild Hall. Good luck to all of you." Time passed, and Noroz had decided he wished to accept a mission. He decided to investigate a new world known as Deep Jungle. I wonder if any of the other guys are going there as well. Oh well, I'll go by myself, Noroz thought to himself as he approached Master Eraqus. "Master Eraqus, I wish to accept the investigation mission. Are there any thing you wish for me to search for in particular?" Noroz asked, politely. "Mr. Clayton, I assure you, Tarzan is learning as fast as he can!" Deep in the jungle, a woman is seen arguing with a man in Hunter's attire. "Miss Porter, if we are to have any success in captur- I mean, studying the Gorillas, that savage has to be able to communicate!" He motioned to the hunched over man in the loincloth that stood next to her.. "Go-Ril-Las. Understand?" The primal man nodded in understanding. Clayton's expression turned ecstatic. "Excellent Tarzan! Now where are they?" Tarzan looked at the ground trying to avoid the question. "&!#$, Kerchak. !&#$ No allow." The hunter's expression faded. "You see?! It's always the same! Why do we waste all our time teaching him if he refuses to tell us anything?! " Furious, he re-aligned his jacket, picked up his shotgun and headed for the Tent exit. "I'm going to scout the camp ground again. When I come back that ape man better have progressed..."
Walking outside, Clayton began muttering to himself whilst loading 2 bullets into his fire arm. "That evolved primate knows where they are... I know he does. Now the question is why he refuses to speak..."
In mid thought, he heard a rustling near the bamboo thicket. Aimed, and ready to shoot, he yelled out; "Come out from where you're hiding! I won't hesitate to shoot. Especially if your a certain mammal..."
He lowered his gun as the source of the noise walked out revealing itself. "Who in the devil's name are you?" The masked figure revealed himself as it was one of Xehanort's apprentices. "My name doesn't matter. But if you're interested in finding something, perhaps we could make an arrangement." Clayton smiled as he replied; "You've peaked my interest..."
"I'll see what I can find, master," Noroz replied. "But I can't promise that I'll be safe. I have a tendency to end up in... rather unsafe situations," he added. Where the hell am I? Noroz thought to himself, as he looked around. It's a freaking jungle. Hm. Guess it's time to take a look around. "Shall we?" He asked, in a commanding tone. [/url] "I know you're here somewhere." Krowley constantly watched the radar-like device in his hand. This tech was known as a Keyblade radar. Though it could not locate where their exact location is, it could give off a frequency when they were near. Similar to a metal detector. "Why would he choose to travel to this world?" he thought aloud. "What could he find inside a jungle that would benefit him? Krowley stopped his train of thought as his radar began to blink faintly. "A Keyblader's here! I knew it!" Putting the device into his back pocket, he dashed forward. "Maybe one of the locals have seen him..."
Raxan looked in awe as he gazed upon the doors of The Land Of Departure. "Well the letter did send me here after all, this seems like a good place to get some answers about where I am and maybe why I can wield this." He held his hand out and in a flash of light the Kingdom Key appeared in his hand. He reached the top of the stairs and knocked on the door. "Hello? Is anyone there? I got a letter from someone named Yin Sid and all of a sudden I'm here!" "So I wasn't the only one." Kel said as he headed up the steps. "If you got a message from Master Yen Sid, then you must be able to wield this." He said to Raxan as he summoned his keyblade. There had to be some reason for them to be summoned here, he just hoped it wasn't a bad sign or something like that. Regardless of the reason, were here now and prbably have to deal with whatever it is. Eraqus had begun to grow weary and impatient. He had yet to hear back from any of his students. and only 1 had left to search. "Perhaps it was too much to ask. Requesting complete complete strangers to put their lives on the line." He looked to Yen sid. "I can't wait here Yen sid... I have to find them." The wizard seemed preoccupied, staring out the window. "You musn't lose faith, Eraqus. We still don't know why those masked figures didn't abduct you as well. I'm not risking the chance by having you run off after them. For all you know, it could be a trap. They could have taken you. but why did they not?" He turned away to look to Eraqus. "Come forth and look outside." Eraqus did as he was asked and stood beside his friend. "It appears you have more guests." Yen Sid motioned his hand to the 2 young men outside. The masters eyes widened in disbelief. "You see Eraqus. Light, can not always be seen, and sometimes we can't find it. But just when we think we can no longer see; Light finds us." Yen Sid left the windowsill and marched towards the Staircase. "I will go welcome our new arrivals." As the old wizard left, a tear ran down Eraqus' cheek. "I can't lose hope..."
Wiping away the tear, he felt renewed. "I won't lose hope." 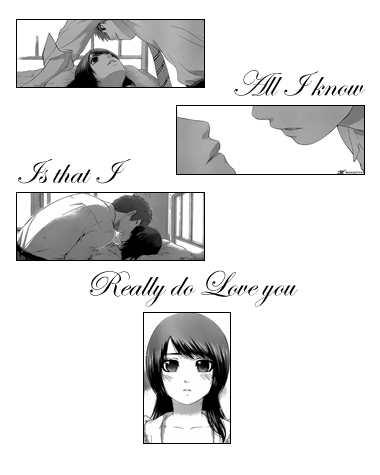 Walking down the stairs, Yen Sid headed towards the door, when a boy suddenly crashed through the wall. The silver haired boy was covered and rubble shook his head and spoke; "Ouch...I got to work on slowing down now." Yen Sid remained undeterred by the his crash entry and just watched as he pulled himself to his feet. "Are you master ...Yen Sid?" the young man asked. He smiled, as he walked towards him and replied; "That I am. Let's see if we can't welcome the rest with a more... safe approach." Upon getting the letter from her father's companion of many years ago, Yen Sid, she was excited and also perplexed. She had heard many stories of Yen Sid, especially since she was born into a family of Wizards herself. She was a magician at best and could summon magic since she was very young. So to get a letter from such a powerful man she quickly accepted and left her Homeworld of Vamacara, the world of magic to journey to The Land of Departure. Anora looked at the surroundings around her. "Interesting." she said in an awe as she looked at the huge tower ahead of her. Walking slowly she took in all the feelings of ancient magic and strength, she could feel her confidence rising as she walked up the steps of this huge palace, thats how she would put it. The white haired maiden heard some commotion going on nearby and she followed voices till she stopped in front of a group of people and a wise looking man that she realized quickly was Master Yen Sid. Quickly walking to the group she stepped in front of the wizard and bowed. "It is an honor to meet you Master Yen Sid." she said in her voice that always sounded delicate and respectful. "wow lost of people can use this thing cant they!!!" Anora stood straight and looked at the red head. Shaking her head slightly she said, "I am the only one from my planet that can wield the keyblade." and then paused looking around. "Who are the others who can wield this power?" she asked curiously. Kross looked at the letter and then at the tower. He was nervous, but as he heard, this Master was well versed in magic. A master Yen Sid, he had not heard of the man, it seemed as if the master was shrouded in mystery. He walked up the stairs and pushed the doors open just a crack, just so he could get in. He heard the commotion and looked in the direction, seeing a group of people. He walked up, his smile soft and he bowed his head to the master, doing his best to show his respect and waved to the others. "Hey guys! "He greeted in a chirp, smiling sweetly. "Nice to meet you... Is it just me, or can a ton of peoplr use this thing?" LÃ©o said. "My name is LÃ©o, and yours?" he said sinceerly. "Oh master Yen Sid, can this thing be changed into other forms? Cuz this thing really ain't my style!" "A very few amount. though it seems like there is a lot, comparing us to the worlds we are just but small amount." she said and looked at the other man who entered into and bowed to the Master. At least another was respectful and from the aura around him he seemed to be highly skilled in magic. Looking back to Leo she said, "My name is Anora, from Vamacara. I am more skilled in magic then in defense." Yen Sid counted the number of new students. 5. A good amount of volunteers to assist in their current situation. "I understand you must have many questions. Allow me to explain what little I can..."
Clearing his throat, he motioned for the new arrivals to enter the building. "According to legend, the people of the universe once lived in harmony on one world, with their hearts full of light. Unfortunately, they began to selfishly fight over the light, and darkness grew within their hearts, covering everything and destroying the world. The light survived in the hearts of children, who were able to rebuild the broken fragments of the one world into many, smaller worlds. However, the true light was still hidden in the darkness, so the worlds remained separate. As manifestations of that Darkness, natural Heartless have existed within the Realm of Darkness ever since. However, due to the walls between the worlds, they could initially only enter the Realm of Light when summoned. The Keyblades you bear are weapons used to fight against the Heartless. You all must have a strong light within you to wield such a weapon." Realizing he was getting ahead of himself, Yen Sid returned to the main issue. "As much as training is needed, we are in a bit of a crisis. 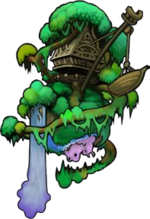 Many keybladers have been abducted by trained assailants in masks, who themselves wield keyblades as well. We are in short supply of protectors and as such have called upon the assistance of you and many others. This must be happening fast for you, but time is a factor. Visit Master Eraqus inside The Guild Hall, and select the world you wish to travel to.